Forming a team takes time. Companies cannot expect a new team to perform well when it first comes together. 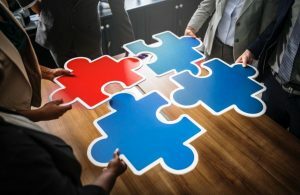 Members often go through stages as they change from being a collection of strangers to a united group with common goals. Team formation needs to take recognizable stages of development. A team’s internal processes usually change over time. Team functioning generally improves after the team has been together for a while. According to Bruce Tuckman, when a team follows recognizable Stages of Team Development, only then can a team function optimally. A team cannot perform well unless it has experienced conflicts and has set behavioral standards. 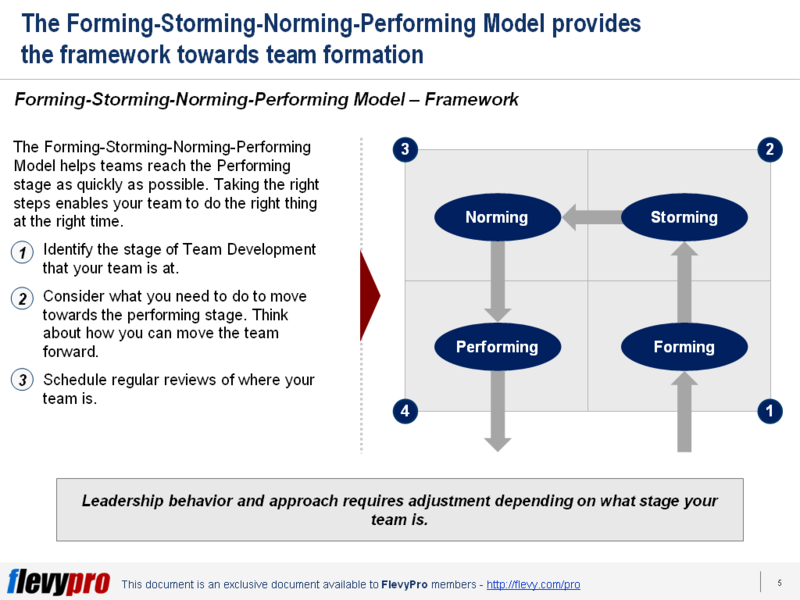 The Forming-Storming-Norming-Performing Model allows teams to grow, face up to challenges, tackle problems, find solutions, plan work, and deliver results. This framework is one of the most popularized on Team Building, one often used by management consulting firms. In stage 1, the team is still highly dependent on the leader for guidance and direction. There can be some tension within the group as there is little agreement on the team’s aims other than those received from the leader. Forming can last for some time as the dynamics within the team is still being worked out. This can be a challenge to leaders with members testing the system and the tolerance of the leader. In Stage 2, clarity of purpose has increased albeit presence of plenty of uncertainty. Team members vie for position as they attempt to establish themselves in relation to other team members and the leader. Cliques and factions may form and there may be a power struggle. Storming now requires the leader to be on top of the situation. He must be an effective coach to enable the team to conquer challenges during this stage. The 3rd stage signals the coming together of the team. Agreement and consensus start forming and roles and responsibilities are now clear and accepted. Here, a strong commitment to the team goal is now being developed and there is a general respect for the leader. Reaching Stage 4, the team is now reaching the achievement of its goals without incurring friction. The team is more strategically aware and knows clearly why it is doing what it is doing. In the Performing stage, leaders can now start focusing on other goals and areas of work. In 1977, Tuckman added a 5th stage called Adjournment. Once a project ends, the team disbands. This phase is sometimes known as mourning because members have grown close and feel a loss now that the experience is over. The 5th Stage may not be relevant in managing and developing a team but it is relevant to the people and their well-being and this is essential. Going through the Stages of Team Development require specific leadership skills and capabilities. There are strategic actions that leaders can undertake to effectively facilitate the development of the team. Leaders in this 21st-century business environment just need to master that. Interested in gaining more understanding of the Stages of Team Development? You can learn more and download an editable PowerPoint about Stages of Team Development here on the Flevy documents marketplace.